macOS: Sure, Slack might be everyone's go-to workplace communication app, but that doesn't mean it's infallible (I won't even get started on @here). Take its bright white interface, for example. It might be great for long stretches of work from 9-5, but if you're on the night shift, or simply getting some quick missives off before bed, all that #FFFFF can mess with your sleep cycle. Instead use Sblack, the macOS app that converts your Slack app into one suited for night owls rather than early risers. 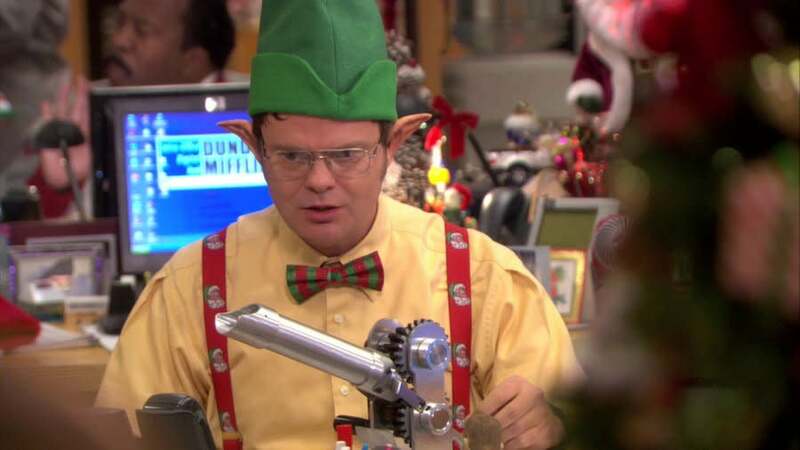 Having an office Secret Santa can be fun. However, being in charge of organising an office Secret Santa can be decidedly not fun. Depending on the size of your office, getting everyone together to draw names can be a chore all on its own, and when you do, chances are good that somehow, some way, the one guy who was on holiday on selection day will manage to draw himself and you'll have to do the whole thing over again. 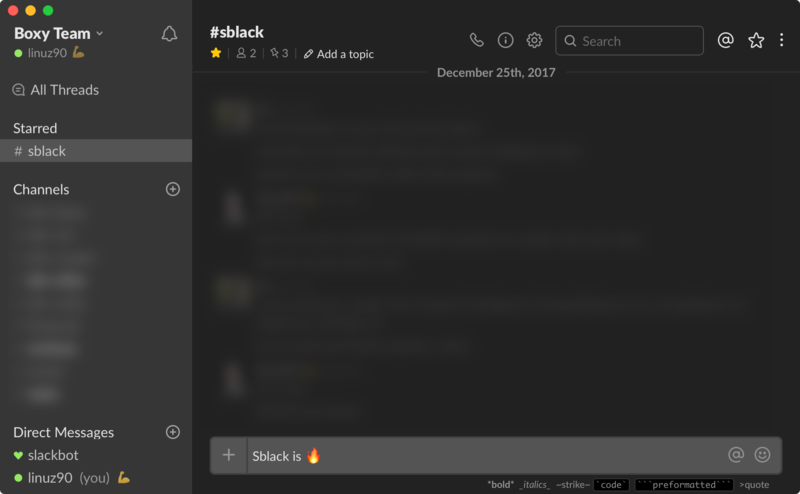 The Sblack app turns your whole Slack theme into one Batman would approve of, making every background black, including your chat window. To get your Slack After Dark on, you'll need to ensure your Mac is running at least macOS 10.12. From there, download Sblack, drag your own Slack app into Sblack, and watch as your theme goes from pearly white to a fear-of-an-endless-void-inducing black. 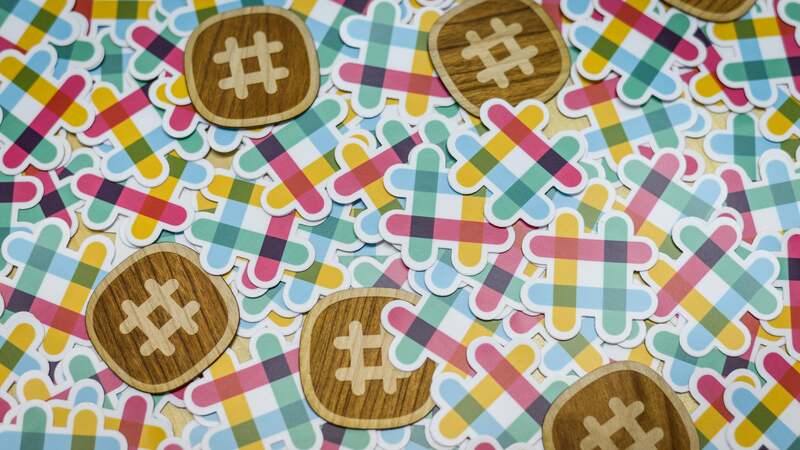 You can already customise the colours in your Slack app, though those options only go so far as to change the colour of the app's sidebar, leaving the more imposing chat window a stark white peppered with colourful usernames, black text, and funny GIFs. If that's all you're looking for, you can find a list of readily available sidebar themes across the internet and paste the associated colour codes into your Slack app's sidebar preferences (in the app select your Workplace name > Preferences > Sidebar, then scroll down and paste the colour codes into the Custom Theme area). 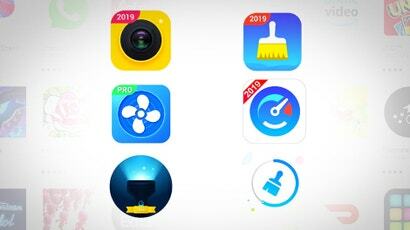 The cosmetic changes won't make it any easier to deal with your more chatty co-workers, but at least that funny GIF channel won't be a literal eyesore when you need a laugh during your late night work session. Unfortunately, this isn't available for download anymore.